Stage of Project Existing sites must be owned or under-control by Sponsor. Greater attention will be given to projects with significant pre-development & where permitting / approvals are complete or near complete. What We Do - We match your project with a reputable & capable Co-Developer from within our network. - We only bring Developers with a proven track record to the table. - We introduce those parties to the project and establish dialogue. 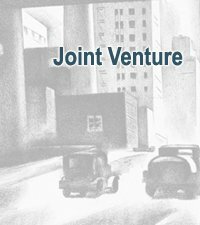 - We provide advice & counsel throughout the process to structure a mutually satisfactory Joint Venture Agreement. - We arrange construction financing for the project. What We Don't - Under this program we do not provide passive equity. Our Co-Developers are well-capitalized and will either be providing equity from their own balance sheet or from sources they already have relationships with. Ideal For - Property owners and/or opportunistic developers who own/control desirable property and wish to participate in the future upside by maintaining an ongoing interest rather than selling. - Property owners who don't have the required equity to commence construction of the project. - Property owners who want to mitigate development risk by bringing in a partner. - Property Owners whose balance sheet may not be satisfactory to construction lenders in relation to the scope of the project. - Property owners who have a well-conceived project, but may not have an adequate track record in that niche and thus cannot obtain passive equity or construction financing without a partner. - Property owners who are looking for a proven partner to bring capital, resources and expertise to the project in order to improve execution and maximize value. Stucture Equity interests / %'s are negotiated up front and typically valued based upon existing equity in the property combined with any "value creation" achieved via permitting, approvals and $ spent to date. Control Existing Sponsor/Property Owners typically become minority partners in the project going forward. All major decisions will be controlled by the new Co-Developer and outlined in the operating and partnership agreements.